Yes I know, I'm a big kid! I blame the beauty of Cornwall and its rich history of ships and the sea. Anyway, while I was on holiday (in Cornwall) I bought a pirate ship in a toy shop. It was surprisingly detailed, loaded with accessories, and ridiculously cheap - only £4.99! Here it is in situ in amongst a cluster of plants in a raised pot. As it is all plastic, it suffers no damage when the plants are watered and has little holes through the deck and base so water drains away. The planting is meant to resemble huge waves through which the ship is cutting a swathe. And these are all the left over accessories I haven't even used yet! When I get round to using them, I'll let you know! This picturesque Helter Skelter was on the riverbank near the Cutty Sark in London this summer. and Prisma enjoyed the pictures... choose your favourite, cos I can't! In the local charity shop, which goes from clothes to furniture with all stops in between, there was a wooden box going cheap as it has broken bits on and in it. Once it was polished and a few repairs done inside to stop the tray within tipping up and a couple of pieces of cloth to cover a hole or two, it became very treasure box-y. So I filled it with lots of stuff from around the house that had been waiting for just such an opportunity to nestle in a box rather than gather dust on a shelf or be forgotten in the broken chain and jewellery drawer. The Pirates of the Caribbean necklace in the top corner was a present from Disneyland Paris years a ago but suits its new home. The pirate coins shining out in the centre were from Cornwall where local craftsmen make replica coins from moulds of genuine 18th century pirate coins recovered. Altogether, it felt rather like making something for a film set, and the ink stains on the wood just added to the effect. And of course Prisma enjoyed it. We rescued a derelict shed from the end of our garden: no roof, no floor, broken front window and a sinking door. Three walls were great, so they were re-used with fence posts to help stabilise. The roof was remade with a wooden frame and corrugated plastic. the floor was decking boards upside down so there were no ridges under bare feet. There's sailcloth tied to hooks on the ceiling to stop the sun making it too hot from above. At the moment there's a writing desk although, as winter dampness encroaches, it will probably move indoors. This is the view down the garden while writing. Various ship/ piratey stuff helps make it feel like a cross between a stage, a raft and a cabin. Perfect. The outside is painted pale blue, as you have seen on a previous blog (http://socklet-world.blogspot.co.uk/2016/06/revolution-in-garden.html), and see through plastic tablecloth roll winds up and down at the front to keep it cool/ warm as needed but still lets you see the garden an feel outdoors, even in the rain. Velcro keeps the cats out. 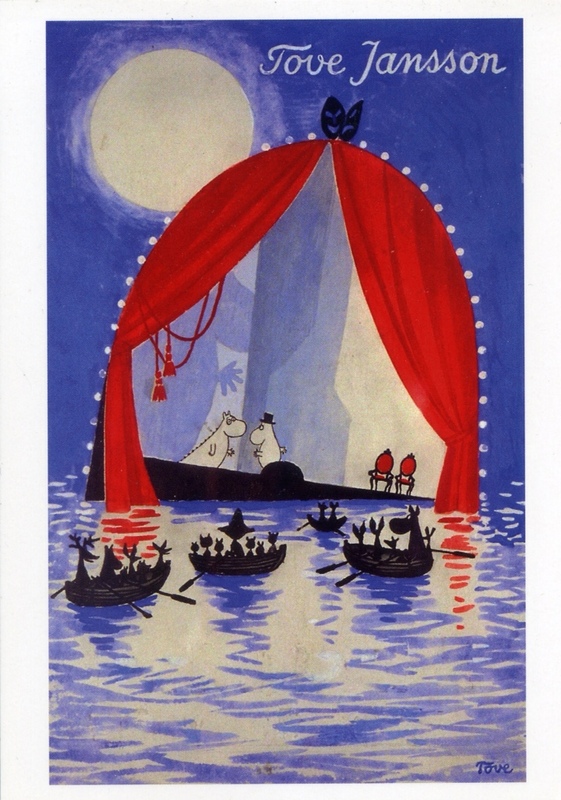 It could definitely float away, like the stage in the Moomin book, Moominsummer madness.